I have a Jane on my desk too-I’ll set her to thinking good thoughts for you! Good luck in your new endeavor! Congrats on the new blog – it looks great. I’ll definitely be back! Fun site, Theresa! 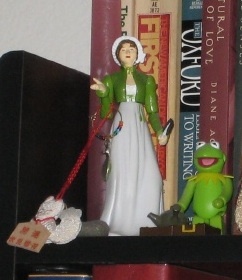 Jane and Kermit together — well, that just seems so right for you. LOL Good wishes. Mel, Kate, Angie, Elen, Carleen — Thank you all so much for stopping by! Love the look of things around here–great start! Melissa–so glad you could visit! 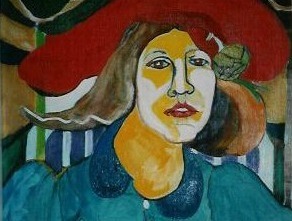 And Thanks for the compliment (and for friending me).